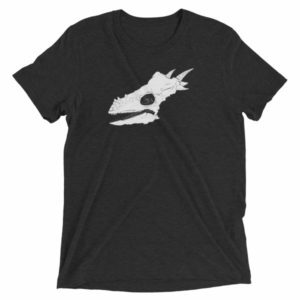 Microceratops is bound to remain a popular dinosaur name, since we’ve been aware of its prehistoric existence for about 60 years and it is already a scripted member of our popular culture. However, Microceratops has since been determined a dubious name for the genus and has since been reassigned as Microceratus. Microceratops is no longer a dinosaur group, due to being discovered as an already assigned name to a genus of wasp. Scientific species classification rules determine that no two creatures may have the same genus name. The official change from Microceratops to Miceratus took place in 2008 when Mateus reassigned Microceratops type genus gobiensis. Microceratus (Greek) means “small-horned” and is a genus of tiny Ceratopsian (Greek for “horned face”) dinosaur. The previous genus name, Microceratops, meant “tiny-horned face” (Greek). Microceratus lived during the Cretaceous Period, roughly 70 million years ago (the Cretaceous Period ended 65 million years ago), and became extinct at the end of this period. What Did Microceratops Look Like? Microceratops (Microceratus) is the smallest known Ceratopsid dinosaur, at only 2—3 feet long and 1 ½ feet tall. The Ceratopsia ranged in size from 3 feet and 50 pounds to over 30 feet and 12,000 pounds. Where most of the later Ceratopsid dinosaurs are known for very large protective frills and horns, Cretaceous Period Ceratopsid Microceratops was so named due to its definite lack of horns. However, Microceratops did have the bony frill covering the most prone portion of its neck. While it seems most obvious that the large plate-like frill would have been for protection, it may have been functional as a major location of large muscle attachment, used for display, or for thermoregulation. The bony and heavy skull tapers toward the front into a beak-like snout with no teeth. The “beak” of Microceratops and other Ceratopsid dinosaurs is formed of the rostral bone at the tip of the upper jaw and the predentary bone which forms the tip of the lower jaw (in all ornithischians). The characteristic triangular or plate-like appearance of the Ceratopsid frill is due to the backward extension of the dinosaur’s parietal and squamosal bones of the skull. Microceratops was bipedal, with short front arms. Also a member of the Protoceratopsid (first horned-face) group of dinosaurs, Microceratops resembled the quadrupedal Protoceratops and Leptoceratops. 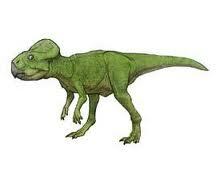 Microceratops was smaller and more primitive, with more slender limbs that resembled frogs’ legs or rabbits’ legs. In fact, when compared to today’s large wild rabbits, the body and stance of Microceratops was very similar in appearance. It is possible that at times Microceratops would have moved in quadrupedal fashion, but due to its extremely long (in comparison to its forelimbs and upper body) legs and ornithopod hips, it is believed that the species type was primarily bipedal and could run fast. To date, Protoceratopsids have been found exclusively in the Late Cretaceous of Asia (Nemegt Basin), dating to between about 99.6— 70.6 million years ago. A particularly well-known protoceratopsid is Protoceratops andrewsi. 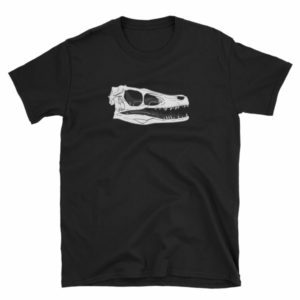 The “fringed head” Marginocephalia, a clade of which Microceratops is a showy member, is a type of ornithischian dinosaur that is characterized by its thick-skulled and horned family members. All Marginocephalia were herbivores and either bipedal or quadrupedal. They all are identified as having a bony ridge or frill extending from the skull to cover the neck. This clade evolved during the Jurassic Period and became quite common during the Cretaceous Period, as many dinosaurs benefitted during the time. Regarding the size of Microceratops, scientists cannot be certain that the largest genus specimen has been found. The only specimen is of a young dinosaur and therefore it is not definitely known how large the adults grew. Like all Ceratopsid and Marginocephalid dinosaurs, Microceratops was an herbivore. Living during the Late Cretaceous Period, the species is likely to have fed on many of the flowering plants and mostly the more prolific plants of the era such as conifers, ferns and cycads. The sharp beak of Microceratops could strip off leaves and needles, and was probably also strong enough to break some branches and small limbs. Microceratops lived during the Late Cretaceous Period of prehistoric time—a time during which the climate was changing in dramatic ways, affecting the future of all Earth’s creatures—especially the dinosaur species. The oceans were receding as the climate was cooling down and polar ice caps were forming. The change in climate came about over thousands of years, but all the eventual change was too much over time. It is thanks to changes like these though, that we see the variety of dinosaur fossils that we do today. As some species fell victim to changes in climate (and food source) over time, other species appeared. A magnificent array of dinosaur and other species evolved. Microceratops lived during a plentiful and busy time for dinosaurs, and yet would disappear by the end of its period along with all the other prehistoric dinosaurs. Microceratops lived in the area now known as Asia, and lived with many other dinosaur species—plant eaters and meat eaters alike, along with species that would have been omnivorous and with other creatures as well. Microceratops would have existed around the same time as the tiny Deltatheridium—one of the earliest mammals, a six inch insect eater that resembled today’s weasel. During Microceratops’ heyday, it is likely that it would have run in rampant numbers as a prolific food source for food chain superiors such as Oviraptor, Velociraptor, Tyrannosaurus rex or Nanshiungosaurus. It would have loved to live among undergrowth areas of forest and jungle, hiding its small form from these predators. It is believed that Microceratops could change its skin colors in defense, and also secrete a poison from the skin. Microceratops was discovered and subsequently described in 1953, in Mongolia. While Microceratops eventually lost its name to circumstance in 2008, the genus type is imprinted into the minds of people today due to popularity. The type species was marked as Microceratops gobiensis and since then many of those parts have been assigned to another genus, Graciliceratops, while some remain classified as Microceratus. Graciliceratops mongoliensis lived in Mongolia between the Santonian to Campanian stages of the late Cretaceous. Although the closest relative of Microceratops were name for their usually prominent horns—and while Microceratops itself was name for “horns”—in actuality, Microceratops lacked any horns—even small ones. Microceratops did have the bony plate which resembled something like horns extending from the skull, but which never developed into true horns. Microceratops will always be significant as one of the most popular dinosaurs known. It was discovered during the heyday of Hollywood entertainment, and as such has always been an easy focus when considering dinosaurs and their general traits. Microceratops was featured in Disney’s “Dinosaur” (a year 2000 computer-animated film featuring prehistoric plots and story-telling), and in Michael Crichton’s novel Jurassic Park, where a Jurassic petting zoo went awry. In this story, we see Microceratops as very small but very territorial and inherently vicious nature. Part of the action in the story involves an animal handler’s own skin reaction to a physical brush with Microceratops, after which he experienced hallucinations and fever.